Do these really pair well? YES! We admit this was originally a joke but 300+ people decided to show up that first year in Denver and 600 more the second year so here we are doing it for the 7th year in a row and taking it more seriously than ever to ensure that our attendees have the most enjoyable time possible. We are confident you will. Held every year between National Whiskey Day and National Doughnut Day during Denver Doughnut Week, this once a year event is a can't miss, incredible experience with more whiskey and doughnuts than you could possibly sample in three days much less one afternoon. Local artists are also Live painting, a DJ provides the tunes and you get to vote for your favorite! The vendors, often times the very owners and creators themselves, break out the good stuff to showcase their craft. You will not find a more delicious mix of sugary treats and finely made spirits anywhere else in the world. 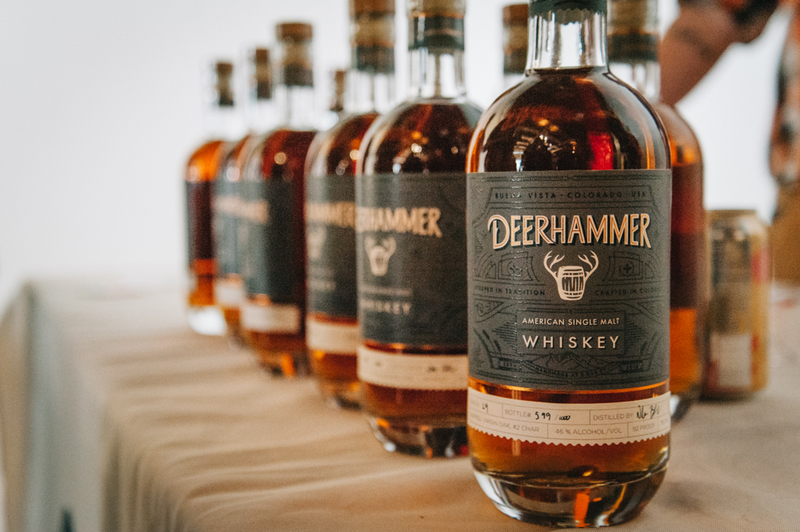 Come meet the changemakers of the rapidly growing local distilling and doughnut scene. This is a tasting unlike anything you have experienced before, purposely focused on the local craft scene with a few old favorites you'll quickly recognize to compare them too. The Colorado distilling scene is on fire, with over 65 distilleries currently active in the state, many of whom either show upas vendors or send a few bottles for our attendees to sample. There is not a more affordable or accessible way to sample so many incredibly fine spirits. Get ready to enjoy the most sugar focused event of the year, nothing compares to the sheer amount of goodness that is about to enter your mouth. Local doughnuts vendors from all over the front range of Colorado pull all nighters to make enough doughnuts for this event like no other. You will not be disappointed!